We’ve been getting excited for Bryan Fuller’s new Starz series, American Gods, for a while now. Fuller’s track record—which includes cult favorite Pushing Daisies and the late, still-lamented Hannibal—speaks for itself, the casting has been impeccable, and the set photos look like they’re adeptly capturing the Americana-meets-mythology vibe of Neil Gaiman’s 2001 novel. 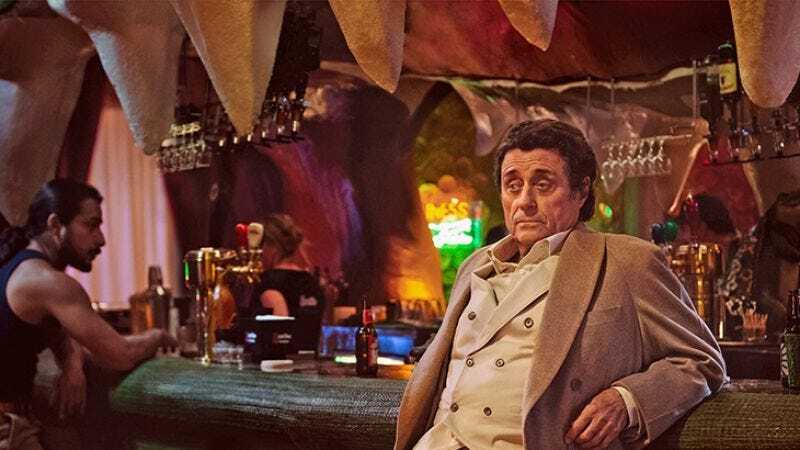 Now, we—or, at least, those of us in San Diego this year—will finally get a look at the Ian McShane-starring series in person, with Deadline reporting that Starz is bringing American Gods to next month’s Comic-Con International. Fuller, Gaiman, and McShane will all be in attendance, along with series lead Ricky Whittle and co-stars Yetide Badaki, Pablo Shreiber, Bruce Langley, and Michael Green. Given how weird Fuller’s Hannibal panels used to get—full of innuendos and flower garlands on everybody’s heads—it’s unclear what exactly is going to happen, although footage or a sneak peek trailer are likely. (Starz has yet to set a premiere date for the series, although it’s expected to land some time in 2017.) Fuller and company will have to pull out all the stops to top last year’s Starz panel, though, which saw Ash Vs. Evil Dead star Bruce Campbell do his cocky, kickass Bruce Campbell thing before unleashing a trailer that stoked fan’s enthusiasm for the then-unreleased show.